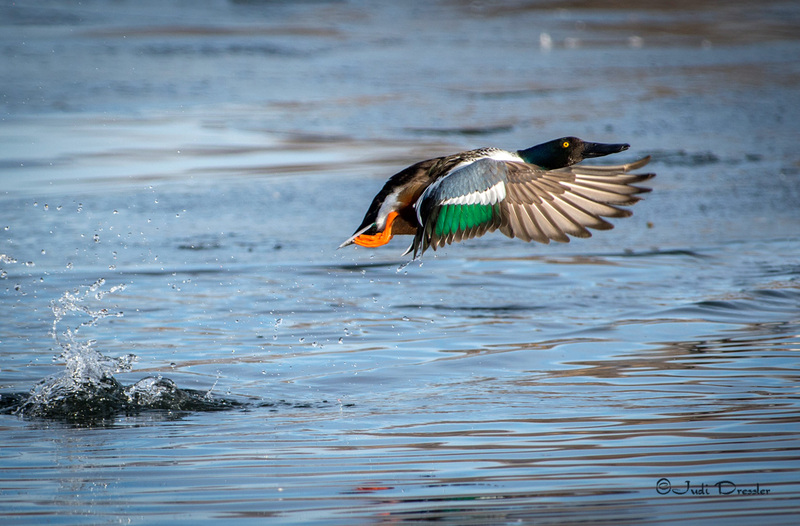 Male Northern Shoveler in full breeding plumage taking off with a splash! A bit of a funny-looking duck with that big beak maybe, he is still beautiful. This one evidently decided it was time to go, and off he took! Photo taken in January, 2017 in Denver, Colorado.